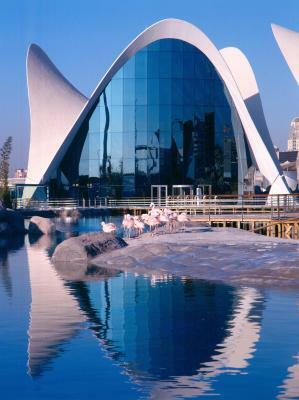 Lock in a great price for Ibis Budget Valencia Aeropuerto – rated 8.3 by recent guests! Convenient to reach the airport. It's close to the metro stop. The staff is extremely friendly and helpful. The size of the room was great. This is second time I stayed here. Location 8 euro ride to airport. Front desk arranged for 4am pickup. Highly recommend if you need to be close to airport. Nice staff, clean rooms, efficient check in ..good price. 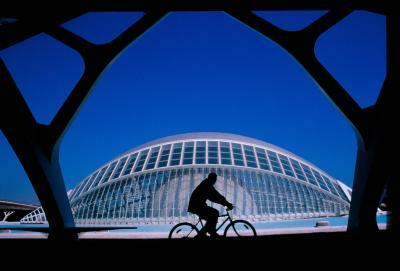 Location is only near airport, not a place to stay if you are touring Valencia or for a long-term stay. I will stay there again when I have an early am flight. The hotel is a great value. It is in a busy but ideal location. The windows were heavy so the block out most of the street noise. Very friendly staff. 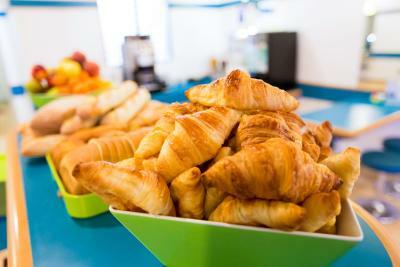 Great value, nice breakfast, short walk to/from airport. Price is right. I was looking for a simple hotel close to the airport and this one was exactly what I was looking for. Hotel staff was very friendly and helped me arrange a taxi pickup for very early the next morning. Easy access from Valencia city center and train station via Metro; clean, quiet room; helpful and courteous staff. 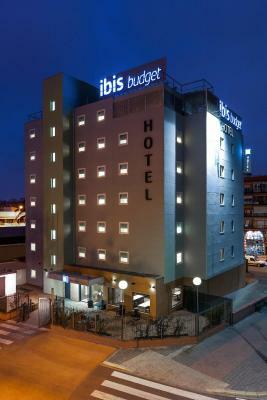 Ibis Budget Valencia Aeropuerto This rating is a reflection of how the property compares to the industry standard when it comes to price, facilities and services available. It's based on a self-evaluation by the property. Use this rating to help choose your stay! 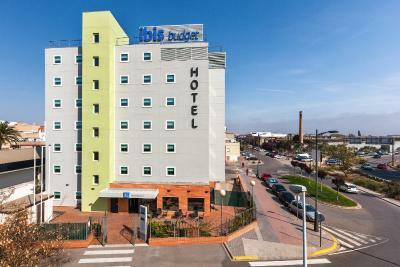 Located next to Valencia Airport, the Ibis Bugdet Valencia Aeropuerto is just 650 feet from Rosas Metro Station. It offers air-conditioned rooms with free WiFi and flat-screen satellite TV. 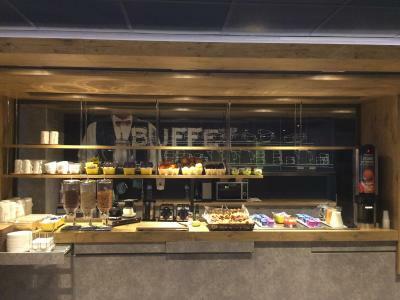 The modern Ibis Bugdet Valencia Aeropuerto features simple, functional design. Rooms offer plenty of natural light, wooden floors and a work desk. With easy access to the A3 and A7 Motorways, the Ibis is just 3.1 mi from Valencia Trade Fair and 5 mi from Valencia Conference Center. The beaches of the Costa de Azahar are within a 20-minute drive. Good-value covered parking is available at the hotel. This property is also rated for the best value in Manises! Guests are getting more for their money when compared to other properties in this city. 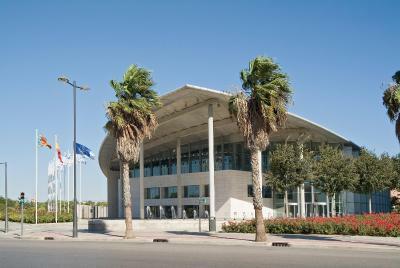 When would you like to stay at Ibis Budget Valencia Aeropuerto? This air-conditioned room features a Large Bed Size, Number 1 free Wi-Fi, flat-screen satellite TV and a private bathroom. This air-conditioned room features Large Bed Size, Number 1, free Wi-Fi, flat-screen satellite TV and a private bathroom. 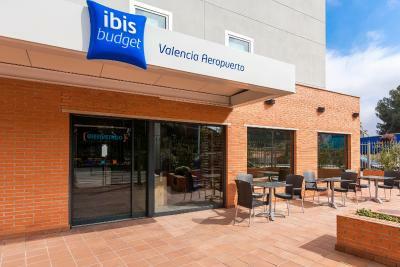 House Rules Ibis Budget Valencia Aeropuerto takes special requests – add in the next step! Ibis Budget Valencia Aeropuerto accepts these cards and reserves the right to temporarily hold an amount prior to arrival. Location - easy to walk to airport, especially taking a shortcut through airport parking lot. Safe for pedestrians. Fine to walk with one piece of luggage. Accessibility could be better for pedestrians. Good clean hotel. Perfect for what I wanted. 1. Air conditioner was not working properly. It was a little bit cold in the room. I set up air conditioner to 30 c, but it didn't heat up. 2. I asked for a quite room. Was given a room on the ground floor close to the exit. Not quite at all. The taxi from airport overcharged by a long shot. He was not happy with a short journey. If I knew his number I would strongly complain. It says it's within walking distance but not with bags and it's through a very busy road. Clean room, nice, comfortable bathroom. Easy to get to airport, city center, beach side by metro or metrobus. Stop of metrobus is next to the hotel. Although airport is very close, no any noise at all. They forced us to check in till 6pm. The check in time in this hotel until midnight though. They threatened us to cancel our reservation because we refuced to pay in advance which was against the booking conditions. As a result we had to change our plans and rushed to hotel. Very good hotel for travelers` comfortable stay: perfectly equipped rooms, cleanliness, friendly staff, big parking lot and reasonable prices. My room this time was a little shabby. Walls needed to be painted and furniture was dented in spots. There were no cups in the bathroom. My room included breakfast, which was not worth the additional cost. Next to the highways hence, rather loud. The smell in the bathroom was strange, smelled a bit of sewer. Air conditioner didnt work good, because we but it to maximum coolness and still room was very hot and no fresh air. Walls repair was in progress/ plastered. Bed was comfort. Big tv. We fly away very early and woke up 04:30 in the morning and it takes just a few minutes to walk to the airport. Hotel located next to the airport. We haved a rentcar, and we decided return that evening befor, because we just win a time to sleep. For us didnt have any problem to cross the road what was between hotel and airport. We probably visit again, if we must wake up very early.